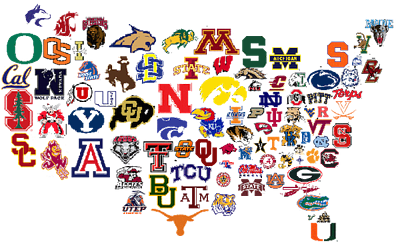 If you’re a student athlete who wants to play in NCAA Division I or Division II sports in college, then this article is for you! We’ll review NCAA’s eligibility criteria for your GPA and ACT score, which NCAA compares using a sliding scale. More importantly, we’ll give you the tips and strategies you need to achieve the NCAA ACT scores required for passing the clearinghouse. First, let’s quickly review how your grade point average, or GPA, is determined. Check out your own high school to see which of its courses qualify as NCAA core courses. This means that your core course GPA might be a little different than the one reported on your transcript, which is an average of all the courses you've taken in high school. Since NCAA compares your GPA and ACT score, let’s review how the ACT is scored. With this understanding, you’ll be able to determine exactly what ACT scores you need and how to achieve them. For a detailed explanation of how the ACT is scored, check out our article here. The gist is that the ACT has four sections: English, Math, Reading, and Science. 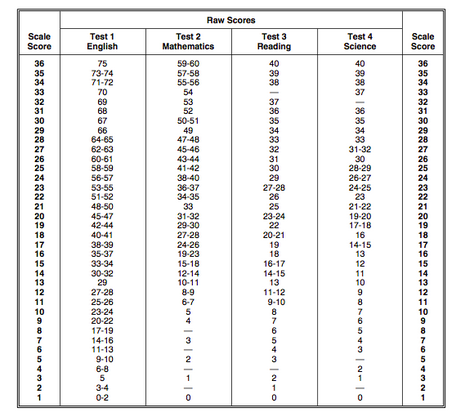 Each of these sections is scored on a scale from 1 to 36, and these four section scores are averaged together to give you a composite score, also out of 36. That said, your composite score doesn’t really matter for NCAA. Instead, NCAA adds your section scores together to get a sum score. So your sum score will be at least 4 and at most 144 (36x4). Before you get a scaled score from 1 to 36, each section receives a raw score. Your raw score is simply the number of questions you answered correctly on each section. The chart below gives an example of how raw scores can convert into scaled scores. Why is this important? Once you know your target score, you can determine how many correct answers you'll need to get that score—and how many questions you can essentially ignore. Note that the ACT does not deduct any points for wrong answers, so you should still fill in answers to any questions you’ve skipped. You might get lucky and add a point or more to your raw score! As you read above, NCAA adds your section scores from English, Math, Reading, and Science into a sum score. For example, if you got a scaled score of 20 on all four sections, your sum score would be 80 (20 + 20 + 20 + 20 = 80). If you take the ACT more than once, NCAA will take your best section scores from any dates. In other words, NCAA will mix and match your highest section scores to get your highest possible ACT sum score. Now, let’s move on to the really important part: how NCAA compares your GPA with your ACT score. For Division I players, NCAA uses a sliding scale that compares your core GPA and ACT scores. If you have a higher GPA, you can meet the eligibility requirements with lower scores. Conversely, if you have a lower GPA, you'll have to make up the difference with higher ACT scores. With a 2.8 GPA, for example, you'd need an ACT sum score of 57 in order to meet the NCAA ACT requirements. You could either aim to score the same on each section—say, around 15 out of 36—or a little higher on some sections and lower on others (depending on what your strengths are). By contrast, for Division II, up until 2018 you'll need a minimum core GPA of 2.0 and a minimum ACT sum score of 68. To reach this score, you could score around 17 (out of 36) on each section, or a little higher or lower in some. From August 2018 onward, however, Division II players will be on a sliding scale like Division I players and will need at least a 2.2 core GPA. These charts show the sliding scale to qualify for Division I and Division II teams. You will need at least a 2.3 GPA to qualify fully for Division I and at least a 2.2 GPA to qualify fully for Division II. Students with GPAs between 2.0 and 2.3 may qualify for Academic Redshirt for Division I, meaning they'll get athletic aid and practice but will be unable to compete. Similarly, students with GPAs between 2.0 and 2.2 may qualify as Partial Qualifiers for Division II. Partial qualifying scores are in parentheses for Division I only. Once you know your GPA and what ACT score you need to qualify, how can you get these scores? Read on for our top tips and strategies. Once you've figured out your target ACT scores (based on your GPA using the sliding scales above), what steps can you take to achieve them? Read on for our top five tips for ensuring you do well on the ACT and qualify for NCAA. Since NCAA adds together all your section scores, all sections of the ACT are equally important and require test prep. However, since there is no minimum score needed per section, you can achieve your target sum score with any combination of section scores. In short, you can play to your strengths. What subjects are you stronger in? Which subjects aren't your forte? If you love English but feel as though math messes with your head, you could, for example, aim for a higher score on the English and Reading sections than you do on the Math section. While you definitely need to prep for all sections, it's OK to define different target scores for English, Math, Reading, and Science depending on your strengths and what you can realistically achieve with the time you have to prep. Once you have your target scores defined, take a look at the sample raw score chart above. How many questions do you need to get right in order to hit your goal score? If you need an 18 in English, for example, this means you'll need to get 17-19 questions right (aim for at least 19). That's less than ⅓ of all the English questions! As you’re taking the ACT, don’t waste time on the really hard questions; seek out questions you can confidently answer. At the same time, don’t leave any questions blank. As I mentioned above, there's no penalty for wrong answers, so you might as well guess. If you skip any questions, leave a little time at the end of the section to fill in the rest on your bubble sheet. You might also be able to improve your scores by retaking the ACT. Start early to make sure you have enough test dates. As with the rigorous hours you put in for your sport, you need to step up to some serious training for the ACT. Doing well on the ACT isn't just about showing up and being smart—it’s about how prepared you are. Studying will help you get better, just as practices allow you to improve as an athlete. This isn’t a metaphor—it’s how any skill is developed. Believing that you can grow and get better is a big part of clearing the way for growth to actually happen. As you've probably felt during exhausting practices and games, a huge part of performing is winning this mental battle. These values of dedication, effort, discipline, and internal motivation will help you on the ACT and carry you through your career as a student-athlete in college. Figure out your strengths, drill your weaknesses, and keep up your drive and hunger to achieve your goals. Finding time for test prep is easier said than done, especially with your packed schedule of school, homework, practices, games, and a social life. Create a schedule and set aside specific time for ACT studying to ensure you prep enough. As you take official ACT practice tests, time yourself the way the real test will be timed. This will let you get used to the pacing of the questions in a short amount of time, and help you understand your own stamina and what you need to do to keep up your focus and energy levels. You wouldn’t train for baseball with a Wiffle ball just as you shouldn’t train for the ACT with subpar materials. High-quality test-prep questions are a must for preparing you for the ACT and breaking down the skills and content you need to master within each section. These include official practice tests, prep books, and websites. For more tips on prepping for the ACT, check out our free ebook. In addition, ACT Questions of the Day are an easy and convenient way to add some extra test prep. These can be accessed online or on your phone. By starting months ahead of the test, ACT QOTD will familiarize you with a variety of problems and help you figure out what types of questions, if any, need extra attention. By being aware of NCAA ACT and GPA requirements well ahead of your application deadlines, you will have enough time to train for the ACT, retake the test if needed, and ensure that you meet the NCAA eligibility criteria. As an athlete, you likely know that training and practice make all the difference. By applying those same skills of self-discipline and internal motivation to your ACT prep, you will be able to take your career as a student-athlete to the next level at the college of your choice! Ready to start prepping for the ACT? Check out these free ACT practice test PDFs and learn key strategies to make the most of your test prep. In addition, get tips on how to make your own ACT study schedule. Need help setting a target ACT score? Go through our step-by-step guide to figure out what ACT score you should aim for as well as how you can achieve it. Be strategic on the ACT, but make sure you’re going about it the right way. Check out the top mistakes students make when guessing on the ACT. Want to improve your ACT sum score by 16 points? Check out our best-in-class online ACT prep program. We guarantee your money back if you don't improve your ACT sum score by 16 points or more. Our program is entirely online, and it customizes your prep program to your strengths and weaknesses. 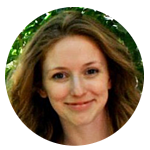 We also have expert instructors who can grade every one of your practice ACT essays, giving feedback on how to improve your score.